Blue Dot & Beyond: My piece on US media website Modern Notion titled "Is Russia Building an Orbital Space Station with China and India?" My piece on US media website Modern Notion titled "Is Russia Building an Orbital Space Station with China and India?" Dear all, below is URL, verbatim text & images of my recently published piece on US media website Modern Notion where I'm a Science Writer. This piece is on how Russia is planning to propose building a new space station with China & India once International Space Station (ISS) retires. The ISS, the 15-nation operation, launched in 1998 is meant to wrap up in 2020. While NASA has proposed extending the program another four years, political tensions are once again at a high, making the exact future of the ISS unclear. Although Russia spends 30 percent of its defense budget on ISS, it has little returns; ISS covers only five percent of Russian territory. And since 2007, Russia has leaked bits and pieces of a possible manned orbital station for when the ISS is retired. In 2008, the first detailed concept of a new Russian station revealed that instead of a research lab, like the current ISS, the new station would function as an assembly point for missions to the Moon and Mars. In 2014, Russia signed an agreement with China to work together in space technology applications, and global speculation was rife with thoughts that Russia would abandon its space initiatives with the West to solely work with China on anew orbital station. 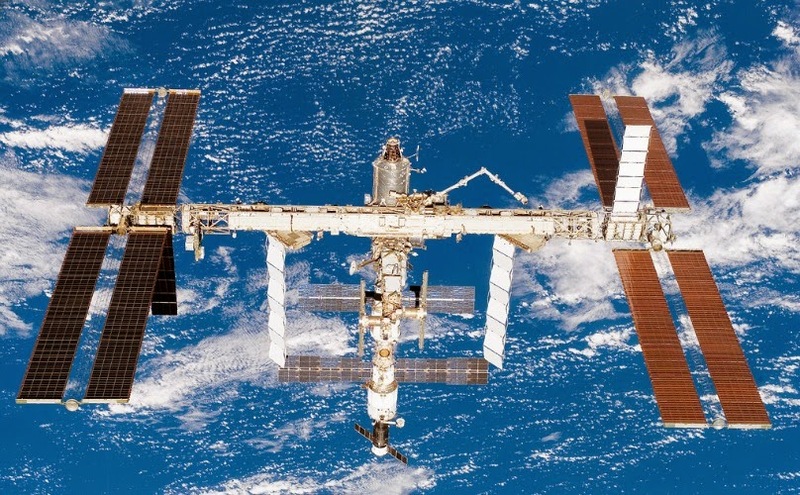 But the director of Roscosmos, the Russian space agency, clarified that Russia will continue to use the ISS beyond 2020, but that its focus will shift toward cooperating with China and their space stations. Experts have long held, however, that since modules of the Chinese space station, its rockets and even its space suits are all derived from Russian technology, Russia has little to gain from China in terms of space technology. In December 2014, Russian space officials also confirmed that instead of a separate space station from scratch, current and future Russian modules of ISS can work as independent orbiting units and can be assembled to act as the Russian successor to ISS. While India appears to be the surprise new piece in this puzzle, Russia’s long term strategic interests and recent developments may have compelled the move. India has been Russia’s biggest arms and space technology buyer but was never considered by Russia for big ticket space projects. It’s very likely that Western sanctions against Russia over the Ukraine crisis and Russia’s creaking economy could have precipitated this new development. Again, ties between India and US are growing in defense and space technology. China also remains wary of Russia’s competence following the 2011 aborted launch of the Russian Mars probe Phobos-Grunt with a Chinese micro-satellite installed on it. Global politics can be muddy. Add in the element of space, and things get even murkier. Looks like we’ll have to wait until the July BRICS summit to see what direction the emerging space frontier in Asia and Russia is heading.